You may already have, in your mind, an idea of what the perfect holiday season looks like. Picture perfect presents sitting beneath a beautifully adorned tree with your well-behaved, well-dressed family cozily sitting about. Or, you may be envisioning a holiday with a sparkling, illuminated menorah and 8 nights of immaculate, well-executed Hanukkah celebrations. Of course, the reality of the holidays is often chaotic, crazy and complicated…but it doesn't have to be. The key to creating your ideal holidays is planning and organization! In fact, creating a system for where things go, and making a habit of putting them there, will help build a seamless holiday experience this year and every year that follows. Creating a dedicated craft space for holiday projects and homemade gifts is the best way to maximize the time needed to create such sentimental, one of a kind presents. What to look for in a dedicated craft space? We've "crafted" thousands of hobby rooms, and found that there are a few essential elements in any space that maximizes creative output. Drying racks: Also referred to as vertical storage, are very important in keeping in-progress work undamaged. 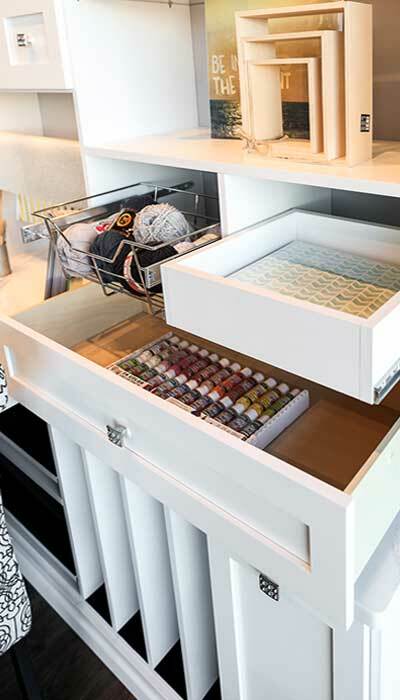 Drawers and shelving: Plentiful drawers keep crafting materials well organized and within reach. 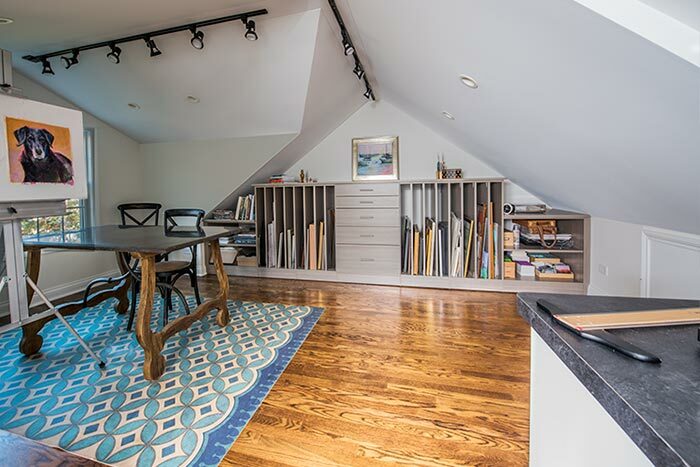 Still need help creating your dream craft room? Contact our experts here. Unexpected overnight guests CAN be a joy during the holidays but only with a little foresight and a lot of space… right? Planning is key, but you don't need extra square footage to make guests feel welcome and warm over the holidays. A Murphy bed is the ideal way to save space while offering comfortable overnight accommodations that will have guests raving. A Closet Works wall bed is like a Murphy bed with additional storage in a surrounding wall unit. Whether you are looking to get the most out of a small square footage apartment, or creating flexible space in a home, our wall bed solutions make hosting holiday visitors effortless. Nothing says holiday entertaining like a well stocked bar. But how does one store the essentials needed to entertain at the drop of a Santa's hat? 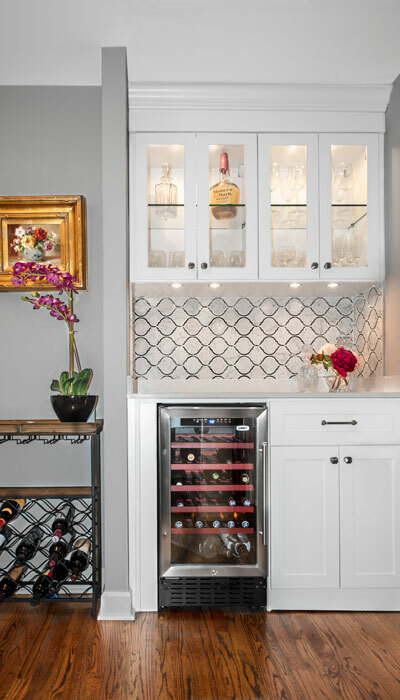 The right storage and organization solution makes it easy to have everything you need this holiday season with good cheer… or is that cheers? Be sure to gather the basics for your bar, including Gin, Tequila, Vodka, Bourbon and Rum. Then, you'll need essential barkeep tools from can openers to martini shakers. And remember, lemons, limes and cherries are a must for any well-stocked bar. Invest in good pantry organization to make room for all the holiday cookies, cakes and goodies. You'd be amazed at how much more room we can "find" with effective organization. How so? At Closet Works, we craft custom pantry organization ideas complete with pantry shelving systems — including pull out shelves and drawers — that fit your space and needs. 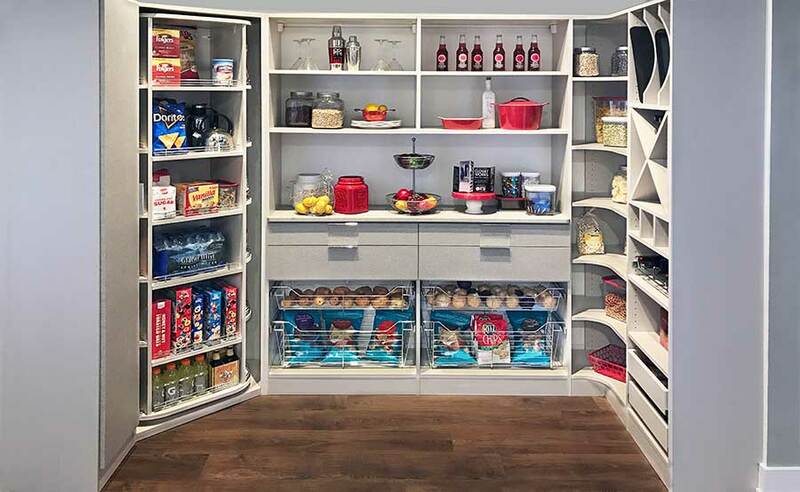 Our custom pantry units offer everything from wall units that integrate into your existing kitchen space to complete rooms dedicated to custom pantry storage. Give Messy Foyers the Boot! 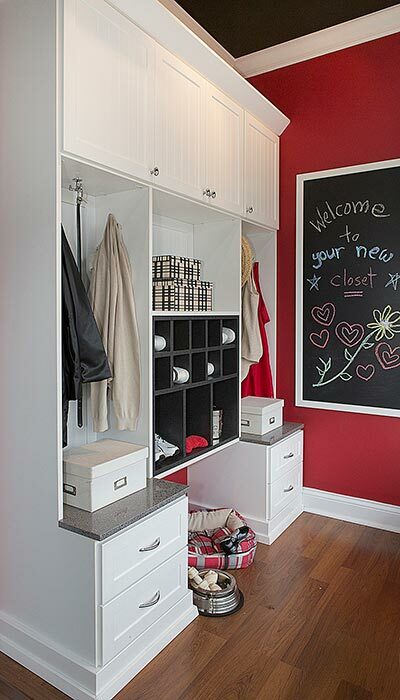 Take time to organize your mudroom or back door entrance to handle all the boots, jackets and snow pants the holiday season calls for. Laundry rooms and mudrooms are frequently located together at the back entrance of the home. And, this space is most often used as the main entrance point for family and friends. This makes for a messy first impression of your home! A spot for shoes for family and guests. A system for organizing coats, hats and gloves. Compartments for a "launch pad" for each member of your family to house essentials, think car keys, cell phones, purses or backpacks and the like! 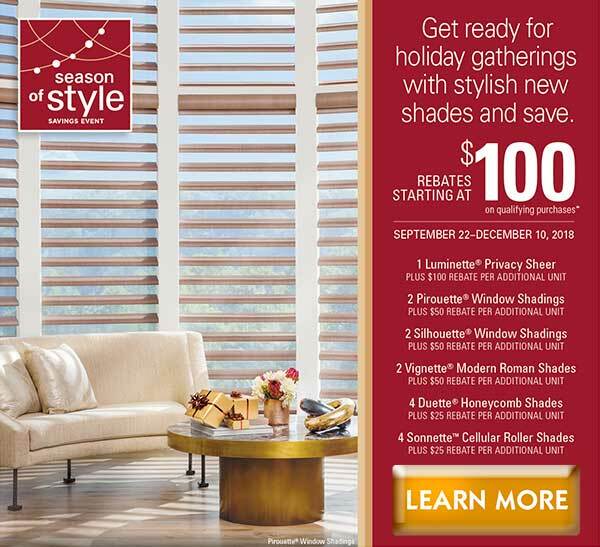 The holidays are just around the corner but there is still time to have exactly the type of sentimental celebration you've been dreaming of. With a little planning and a little help from Closet Works, no matter how frightful the Chicago weather is, the holidays at home can be simply delightful. A gift wrap station will streamline the holiday prep, leading to more organized holidays. 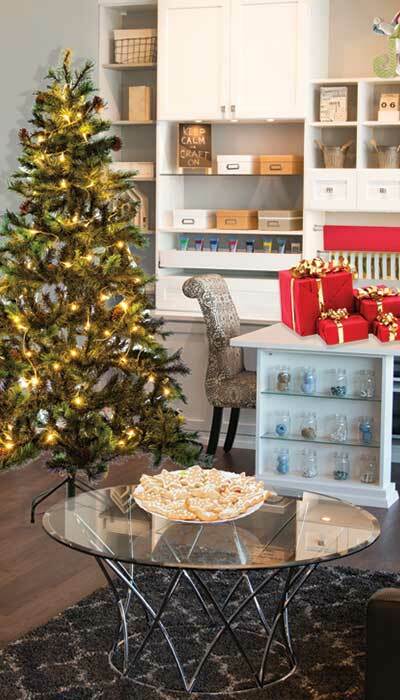 This home art studio is used to create one-of-a-kind custom gifts for the holidays. Set up a designated craft corner for holiday organization. Organized holidays start as soon as you enter the home. 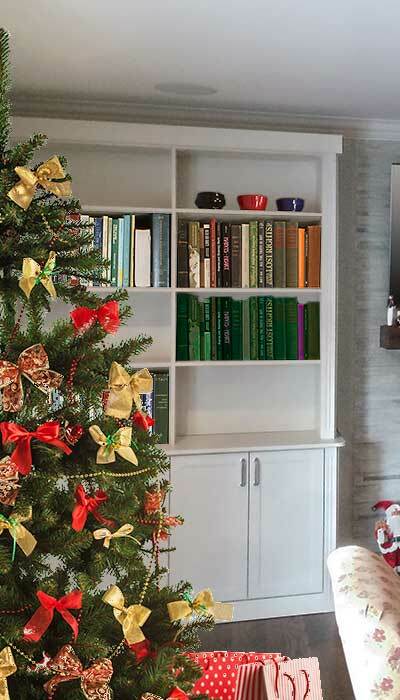 Bookcases and built-in shelves are a great way to stay organized during the holiday season. 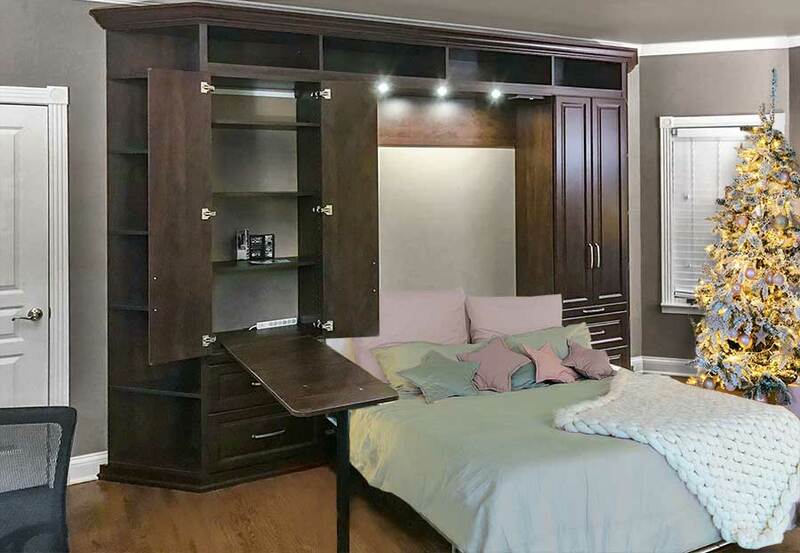 Your basement rec room can do double duty as a guest room when it includes a large Murphy bed like this one. 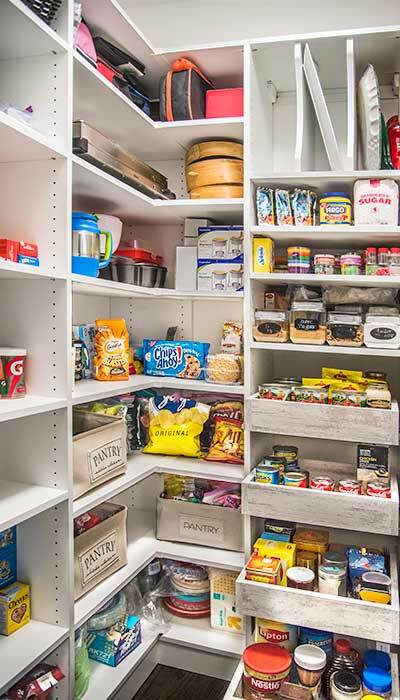 Maintaining a fully stocked and highly organized pantry will make impromptu entertaining easier during the holiday season. 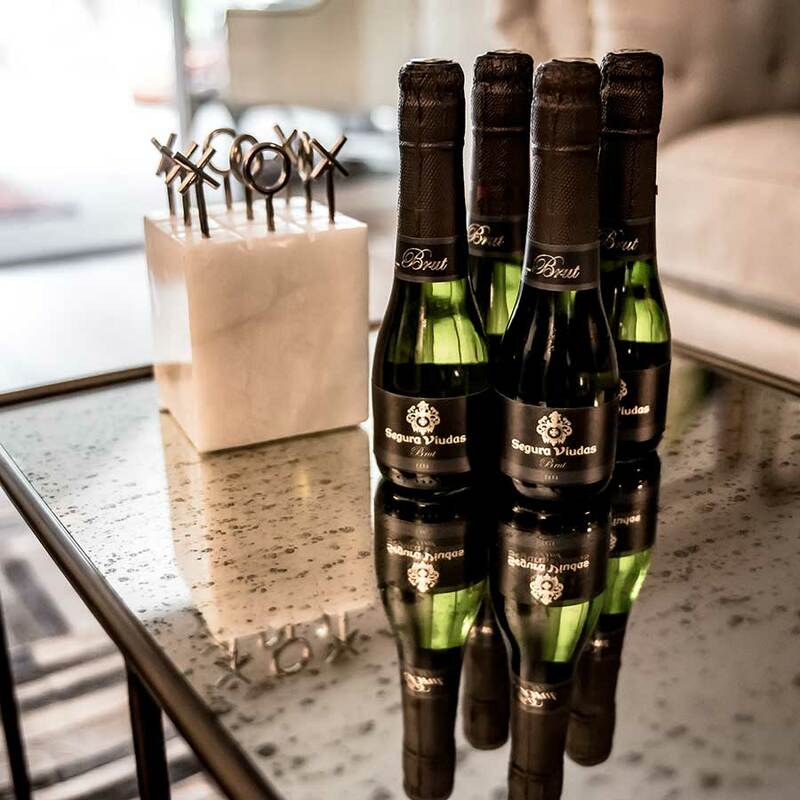 Setting up a beverage bar makes entertaining easier and is a great holiday organizing tip. 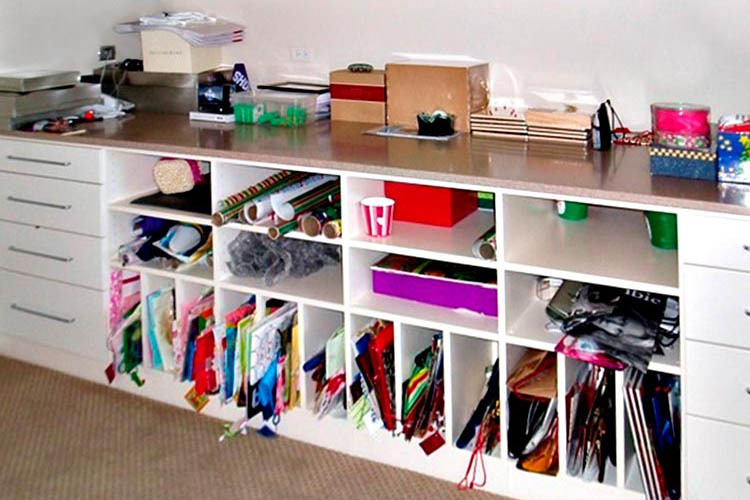 A dedicated craft center will streamline those crafts projects while the kids are home from school and keep your household organized during the busy holiday season. It can also serve as a convenient gift wrap center.